I can honestly say that this years Tour de France was my favorite since Greg LeMond defeated Lauren Fignon by 8 seconds in a record-shattering final day time trial. It has been that long since there was some real drama in Le Tour. Despite Vincenzo Nibali‘s convincing win, nothing appeared to be set in stone right up to and including the final stage. Despite some of the big favorites going out early due to crashes, there was some amazing performances every step of the way. Despite the turning of the page in terms of the old guard retiring, the new guys were instant favorites. Congratulations to Nibali for winning what I still insist is the first clean tour in decades. Congratulations to one of my favorites – Peter Sagan for winning his 3rd straight Sprinters Jersey despite not winning a single stage. 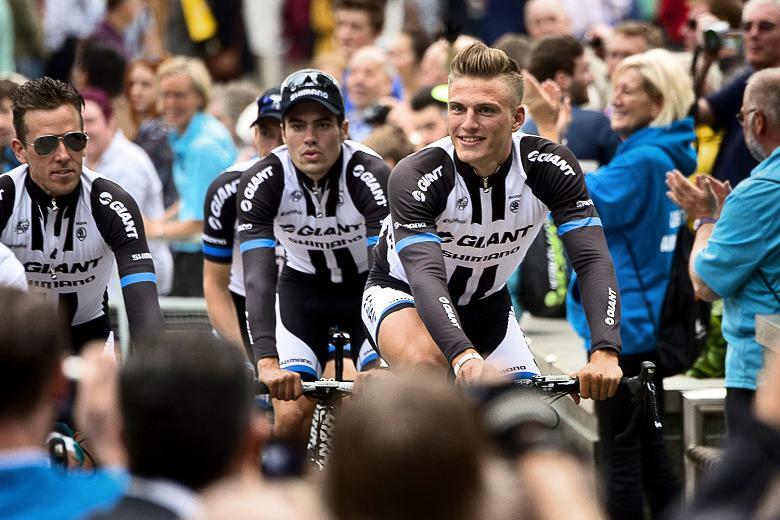 Congratulations to Marcel Kittel of ‘the hair’ for his four exciting stage wins. Congratulations to the French who for the first time in 30 years put two riders (Jean-Christophe Péraud 2nd and Thibaut Pinot 3rd) on the podium. Congratulations to Chris Horner, the 2nd oldest in the tour for turning in some amazing days enroute to completing one of his best tours. Congratulations to Thomas Voeckler who I’ve watched transition from a brash young rider in the 2004 tour to a gutsy veteran that is always a blast to watch. Congratulations to Jens Voigt for one of the classiest farewell performances from one of the most dependable of the Tour regulars. Congratulations to NBCSports for once again resisting the urge to replace Phil Liggett and Paul Sherwen with someone younger as commentators. Sure, they added a host of younger supporting staff, but they are the voices of the Tour de France. Congratulations especially to the tour organizers who not only cleaned up the drugs in this sport I love so much but put together a series of obstacle and tests that made each and every stage amazing. Thank you to everyone involved. Thank you for giving me back the sport I love.